I read this around 2015, I think, as a Kindle book. Sadly, I have quite a history of books to work through. The protagonist was a nun, not quite at final vows. Her monastery was known for its pickles. At the beginning of the book, she'd failed to properly monitor a batch, and it had moulded. Desperately, she casts a spell off of a page she'd borrowed from the library. I think it was in an "old language", but not Latin. The charm works and the mold is gone just in time for inspection by her Superior. She's picked as ambassador to the local Lord, with pickles including the ones she'd bespelled brought as tribute. While she's there, the castle is besieged by an Evil Overlord's son. There's another plot point going on involving the young Lord being set up for marriage by his mother or aunt. One of the prospective suitors is a very tall girl whose height has prevented most suitors. The enchanted pickles have various effects, including making one of the women grow to the size of a giantess, whereby they trashed the enemy army. The Evil Overlord's son is unimposing, and is bullied by the ogres in his army. 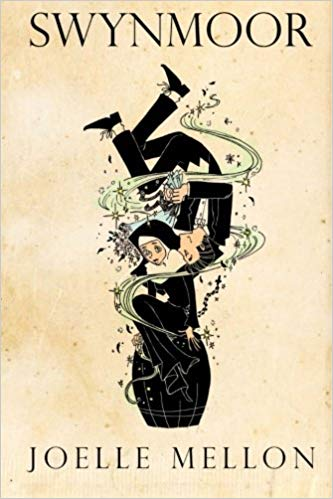 Ultimately, the tall girl winds up with the Overlord's son, and I think the nun falls for the Lord, although I don't remember if they wind up together. I think there was also a plot point involving the Lord going incognito among his people. This is Swynmoor (2014) by Joelle Mellon.